This is an awesome time of the year for us south-westerners. It’s getting warm, but not too warm. No mosquitoes, yet. Lots of sunshine. It’s been so great. It’s hard to not want to be outside. 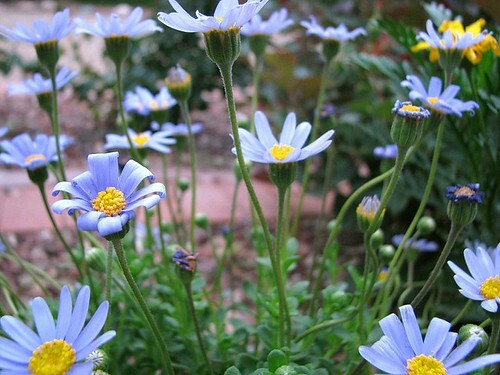 We’ve been eating all our dinners outside, planting new flowers and herbs. I saw this inverted tomato planter and went out and bought the supplies immediately. I would LOVE to have some yummy sweet cherry tomatoes. On the top is oregano, lemon thyme and rosemary. 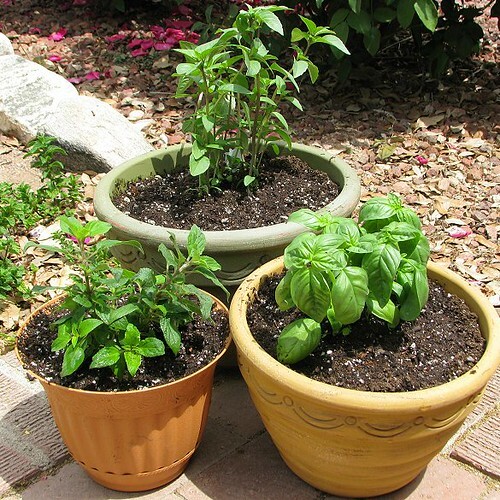 I also planted some sweet basil, pineapple sage and cinnamon basil. They smell divine. 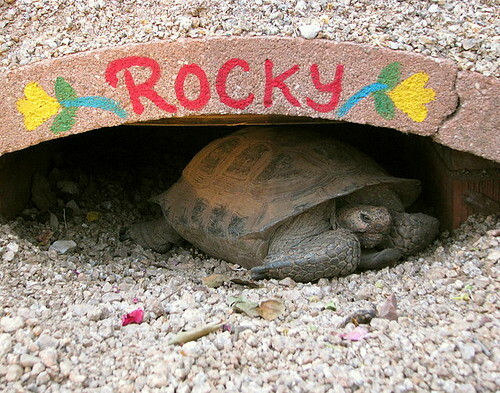 I got the paints out once again so that I could write Rocky’s name on his home archway. I think he likes it. Hope you are enjoying some nice weather too. 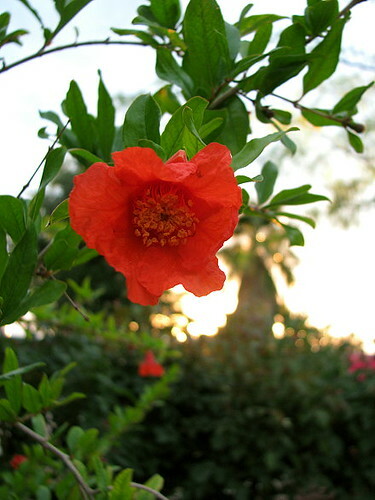 This entry was posted in Family Life, Grow, Recycle,Reduce,Reuse and tagged herbs, inverted tomato plant, pomegranate bloom. Bookmark the permalink. 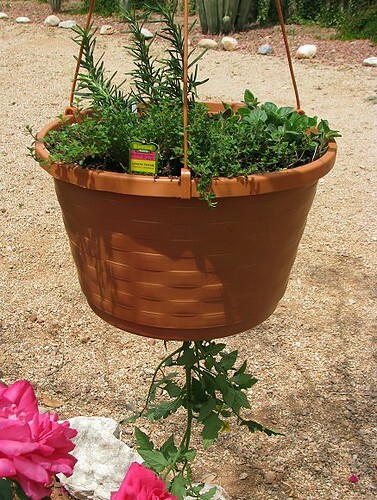 Wow cool, I totally want to try the inverted tomato planter, but still trying to just grow tomatoes at this point…haha…I sort of have a black thumb it seems …eek! Oh and cute turtle…or tortoise? We also have turtles in our front yard and I’m wondering if I should be feeding them some treats…ahha! Wow, cool turtle and 100 years old, really? What kind is he? I was so excited the other week I saw my first painted turtle swimming in our stream. He has been there since so maybe he is staying. Hi! I saw Rocky and had to comment. I am the program coordinator of the Desert Tortoise Program at Phoenix Herpetological Society. How long have you had him? If you have any questions at all, please let me know. I absolutely LOVE desert tortoises and enjoy every moment with them. I have quite a few right now, all babies and teenagers.